Test Equipment Connection Corp. announced today that it has entered into a Distribution Agreement to market and sell new AnaPico Portable Low-Noise RF Signal Generators. 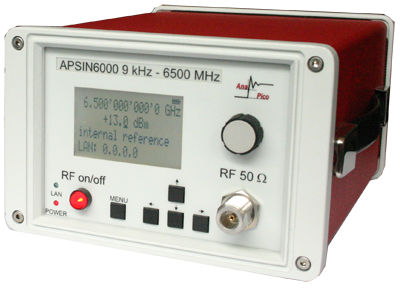 AnaPico APSIN solutions are low noise, fast switching signal sources with true portability. AnaPico is a leading supplier of microwave key components and RF signal generators for high-speed test and measurement applications. The company’s core competences comprise design, fabrication and testing of RF and microwave electronic components and instruments. AnaPico was started in 2003 and officially founded in 2005. AnaPico headquarters is located in Zürich, Switzerland. This entry was posted in Press Releases and tagged AnaPico, APSIN, APSIN3000, APSIN6000 signal generator, microwave key components, Portable, RF Signal Generators, test and measurement, Test Equipment, Zurich. Bookmark the permalink.